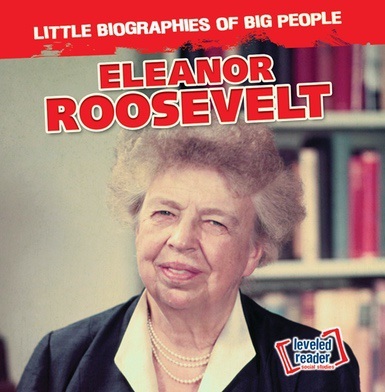 Eleanor Roosevelt was not just a U.S. president's wife. Her life is a relevant, important story that is notable, inspirational, and much needed, both in its time and today. This essential volume introduces young readers to a woman who wasn't afraid to speak her mind or voice her opinion, even though she lived in a time when most women stayed quiet. Through accessible, straightforward, engaging language readers can grasp, connect to, and be motivated by Ochoa's life story. For younger readers, this is a rare opportunity to read age-appropriate text and first-hand quotes that incorporate the issues of her times.